[[ Hueco Tanks State Park and Historic Site in Far West Texas. The aim of literary travel writing was-- and remains-- to bring the reader to deeply notice, that is, get out of her head and into the world of specific sounds, smells, tastes, textures, colors, ideas, histories, geographies, geologies... In the words of Kenneth Smith, "You have to open space, and deepen place." Start with escape velocity: from wherever you are, whoever you are in your known world, you rocket out, beyond the orbit of ordinary life. You float around out there-- there being your own backyard or, for that matter, the island of Molokai-- for a spell. Then, with a story to tell, you splash back to earth. Next step: craft the narrative, rendering your experience in and understanding of that time and place as vividly, as lyrically, and engagingly as possible. I've had plenty to say about the craft of literary travel writing; what I want to touch on here are some of the steps in the process and how they have or have not changed with the lure of digital technologies and the tsunami of the Internet. 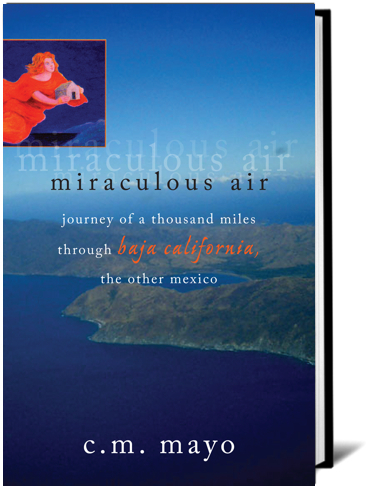 In olden times of yore, I mean in the 1990s, when traveling in Baja California for my travel memoir Miraculous Air, I carried around a pen and bulky notebook, and a camera with so many lenses and dials that if I were to pick it up today I wouldn't remember how to operate it. To get every raw thing down that I would need for my book, I had to scribble-scribble-scribble, and during interviews and/or at the end of a day's driving and hiking or whatever, boy howdy, I felt like a squeezed-out sponge and my hand like an arthritic claw. Once home, I spent hours upon hours typing up my field notes. And neither film nor film processing was cheap. Such was the first step of the process. 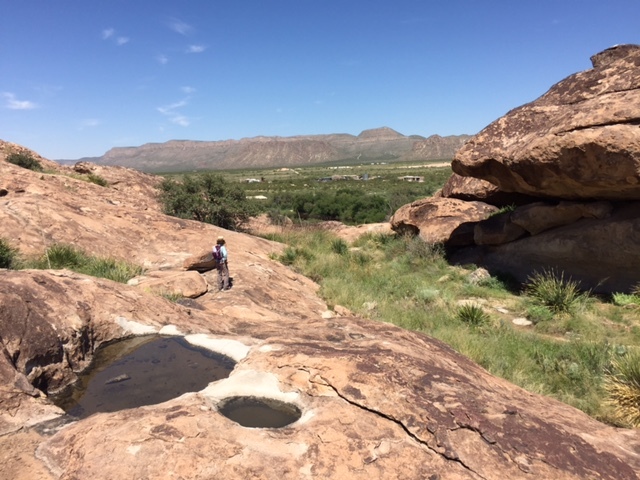 Big Bend Ranch State Park, Texas. Photo taken with my iPhone. [*]Yep, I have voice recognition software but it doesn't work well enough-- in the time it would take me to correct the gobbledygook I might as well transcribe from scratch. I expect this to change. For some of my podcasts I have used a transcription service, but field notes are another matter-- too detailed, too personal. Furthermore, as tedious a job as it may be, transcribing my field notes helps me hyper-focus, recall more details, and gain further insight. 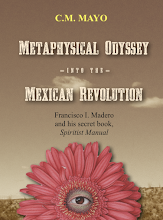 I am the first to admit, were I to do another literary travel memoir, while I would dictate my notes, I would need a better strategy for getting them transcribed. So I'm working on this mid-way. Ayyy. NOW: Photos and videos can be amply shared on this blog, the website, Twitter, etc. A few will end up in the book, I expect. Is this aspect of the process really that different because of the Internet? A few years ago I would have said so-- I got very excited about the multimedia possibilities in ebooks. 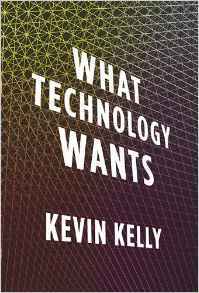 But I now believe that while our culture is increasingly oriented towards visual media, as far as books go, not much has changed-- nor will it because what readers want is text. I'll grant that some literary travel memoirs might offer a few more images and color images than might have been economically feasible before. I'll grant that ebooks can include video or links to video. And I'll grant that a few people may find out about and read my book because of a photo or video they Google up on my websites. A few. 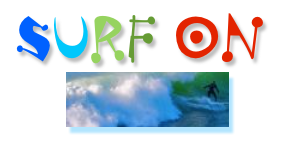 Most people surfing around the Internet don't read books, never mind literary travel memoir. And there is nothing new about that. 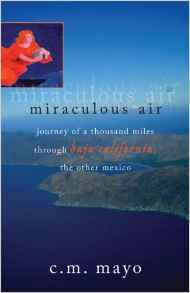 THEN: To find books on Baja California, I scoured the shelves at John Cole's in La Jolla, El Tecolote in Todos Santos, and a very few other bookstores and libraries, including the Bancroft at UC Berkeley. I thought the bibliography on Baja California was enormous, and I ended up owning a wall of books. *I hasten to add that for research purposes I am mainly buying paperbacks and used reading-quality books, the kind I'll take a highlighter to, not rare books. Buying rare books from amazon is not the best idea for many reasons, one of them being that the multitudinous sellers of used books oftentimes describe a book as "new" when it is actually a stamped review copy, stained, or missing a dust jacket, and so on. 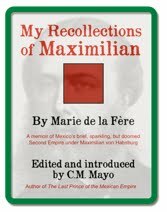 For quality rare books from reputable sellers, I can recommend www.abebooks.com , www.abaa.com , and www.biblio.com. Bottom line: Not only is it easier to find books now, but the bibliography on Far West Texas and Texas makes that on Baja California look puny. Um, I think I'm going to need a new house. Is this aspect of the process of writing a literary travel memoir really that different because of the Internet? It would seem so, but I'm contrasting an apple and a Durian, as it were. Baja California is a very different subject than Far West Texas. 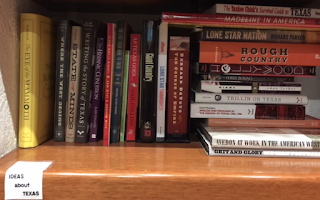 Many of the books I found useful on Baja California are not easy to find online, even today, while, so it seems to me now, if I sneeze someone hands me a book on the Great State of Lonestarlandia. I do miss ye olde brick-and-mortar bookstores. But I do not miss being unable to find what I was looking for. Anyway, not every travel memoir requires such intensive reading. And yet another consideration-- and a topic for another blog post-- is that it's always easy to under- or over-research any given book. NOW: Few stretches of any highway, anywhere, including the most offbeat corners Far West Texas, are without cell phone reception. Many campgrounds and all hotels, properly so-called, have wifi. Digital distractions are legion. Or, another way to put it: the digital leash stays on-- unless one is willing to confront friends, colleagues, and family. That takes energy. Or, another way to put it: that takes training. While traveling, no, I do not text, no, I do not email (except when I fall into temptation! ), and no, I do not answer my cell phone while I am driving or possibly fending off mountain lions! Sounds easy. Sounds curmudgeony. But for the kind of travel writing I do, trying to immerse my consciousness in an unfamiliar place, and come back with a vivid narrative, very necessary. Is it really that different? Not so much as it might appear. It has always taken a strategy plus herculean effort against formidable economic, physical, psychological, and social pressures to protect uninterrupted stretches of time for deep work. 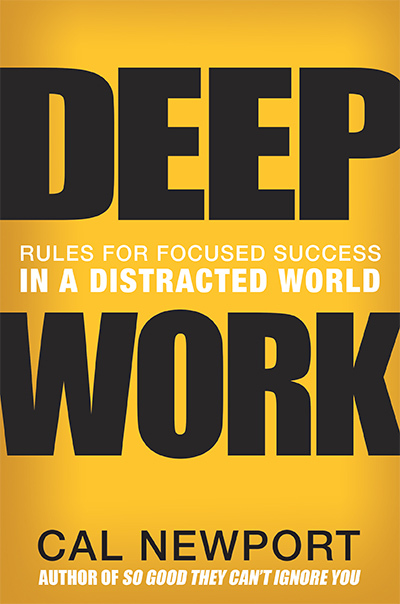 >> See Cal Newport's Deep Work. Highly recommended. THEN: If it wasn't in a book or a paper file, usually, for all practical purposes, it didn't exist. NOW: Whatever, Google. * And the Texas State Historical Association's Handbook of Texas is a fabulously rich-- and free- resource. *Don't get me started about the Maoist Muddle, aka Wikipedia. Is it really that different? Yes. To take but one example, it is radically different to be able to look at all the real estate on the Internet. 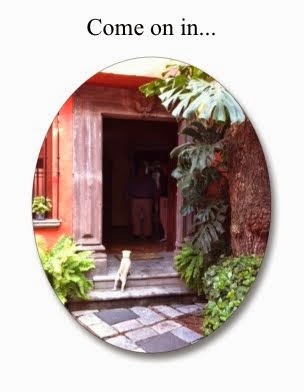 I can be sitting in Mexico City and with my iPad and surf around, looking at all these places for sale in Far West Texas-- whether a luxury ranch or a humble hunt box / trailer-- I can see the kitchen, the bedrooms, ayyy, the bathrooms... I hasten to add I am not looking for anything in the Texas real estate market, but those listings, the descriptions and photos, constitute a window onto a people and place-- in the not-so-distant past, this sort of at-hand detail was available only to licensed local real estate agents. 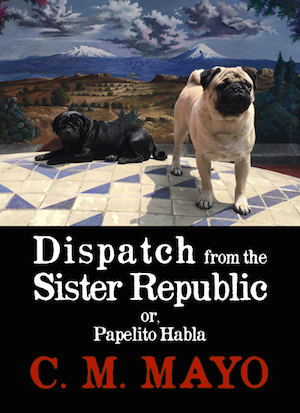 THEN: In the 90s in Baja California I talked to a lot of people who wouldn't know me from a denizen of the fifth moon of Pluto and who would probably never learn about, never mind pick up and read my book. I found that very freeing. Is it really that different because of the Internet? Having published several books, one thing I do appreciate, although my ego does not, is that books go out to a largely opaque response. 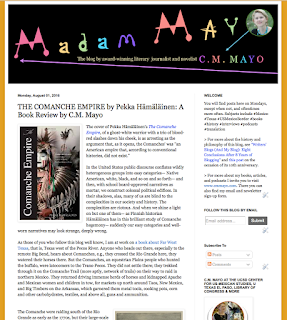 You can talk about sales numbers, "big data," reviews, and prizes, and it doesn't change the fact that an author does not know when any given person is actually reading or talking about or feeling one way or the other about his or her book-- and anyway, the readers of some books will be born long after their authors have passed to the Great Beyond. Still, I think it best to assume that there is karma with a capital "K" -- opaque as it may be. In other words, you might not have to, but be prepared to live with the consequences of what you have written. Translation: truth is beauty but cruelty is stupid. THEN: The main distractions were the television and the telephone. 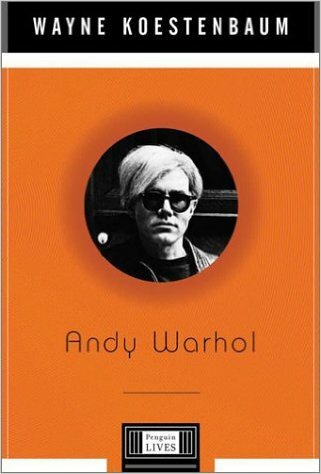 >> See also Steven Pressfield's The War of Art: Winning the Creative Battle. THEN: As work progresses, I would publish an occasional article in a magazine or newspaper such as, say, the Los Angeles Times, the Wall Street Journal-- and I would actually get paid. I also published a number of longform essays in literary magazines. I got paid, a bit, and I treasure the beautiful copies. 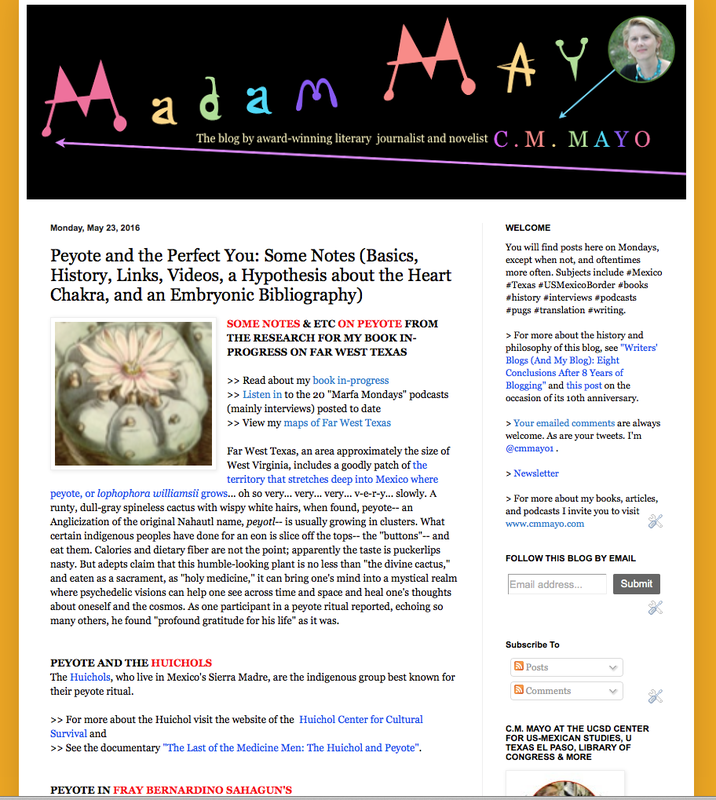 NOW: Although I continue to publish in magazines, mainly I post digital media-- articles on this blog, guest-blogs, and text, photos, videos and podcasts on my websites, plus I send out my emailed newsletter a few times a year. Downside: My short works make less money. Upside: publishing articles is quick, easy, and I retain control. Further upside: when people Google certain terms, they get me. For example, try "Sierra Madera Astrobleme." Is it really that different? Alas, yes. 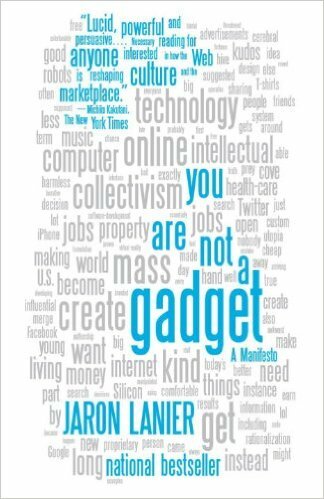 See Jaron Lanier's You Are Not a Gadget. I would tell any young writer getting started today that if you want the freedom to write things you will be proud of, first find a reliable alternative income source and from there, always living below your means, build and diversify your sources of income away from the labor market. (Getting an MFA so you can teach in a creative writing program? That might have made a smidge of sense two decades ago. Now you'd be better off starting a dog grooming business, and I am not joking.) Yes, if you are brilliant, hard-working and lucky, you might one day make a good living from your creative writing. 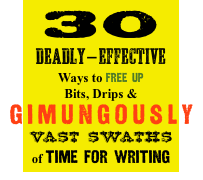 But why squander your creative energy for your best work worrying about generating income from, specifically, writing? Quality and market response only occasionally coincide. Jaw-dropping mysteries abound. FURTHER NOTES: WHAT ELSE HASN'T CHANGED (MUCH)? One might imagine that with all the firehoses of information available to the average traveler, literary travel writing now needs to offer something get-out-the-scuba-gear profound. But this has been true for decades-- long before the blogosphere and Tripadvisor.com & etc. thundered upon us. "The land was big and varied, in parts wild. But it had nearly everywhere been made uniform and easy for the traveler. One result was that no travel book (unless the writer was writing about himself) could be only about the roads and the hotels. Such a book could have been written a hundred years ago... Such a book can still be written about certain countries in Africa, say. It is often enough for a traveler in that kind of country to say, more or less, 'This is me here. This is me getting off the old native bus and being led by strange boys...' This kind of traveler is not really a discoverer." Another thing that has not changed is the need to keep things organized-- whether digital or paper. 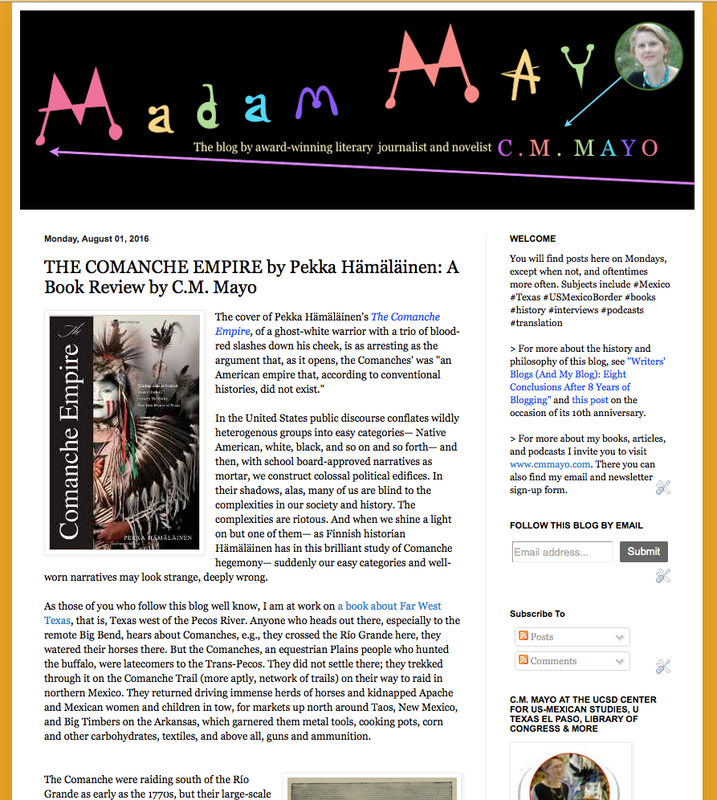 When I sit down to bang out a draft and then polish (and polish & polish & polish) a literary travel narrative, I need to constantly refer to my field notes, books, photos and videos, so it is vital that I have these resources where I can easily find them-- and when done for the day, or with that section, that I have a place to easily put them back (and from where I can easily retrieve them as need be). This might sound trivial. It is not. 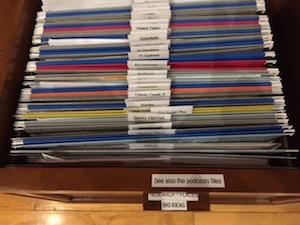 PRINT-OUT OF THE MANUSCRIPT: Shelve at eye-level in a box (along with a large manila envelope for miscellaneous scraps and Post-Its). Sounds like I know what I'm doing! The truth is, no matter how often I declutter, books and papers tend to mushroom into unwieldy piles and ooze over any and all horizontal expanses. Piles make it easier to procrastinate. And procrastination is the Devil. I have been struggling mightily with getting my field notes transcribed. All that said, a book gets written as an elephant gets eaten-- bit by bit. It's happening. Stay tuned. >> Your comments are always welcome.